Hello world! Soli Deo Gloria! The three performances of the Luther Musical at the Pacific Lutheran Theological Seminary were a smashing success. The audience did not expect wonderful slides as backdrops, sound effects, theater lighting, precise medieval costumes, wonderful acting and singing, including piano, violin, and even some trumpet! Luther swept the audience away in his dramatic performance and the court jester had everyone laughing. This musical is going to take off. Wait until the next professional production! The last one, Part IV, is only the last dance. This performance left out the Overture to Act two and one short scene, where a friend warns Luther about what happened to Jan Hus, even though he had safe conduct. as a fraternal worker and eastern messenger or Ostbote for the Evangelical Church in Germany as a vicar of the Phippusgemeinde in Friedenau and then as an interim pastor or Pfarrrverweser for the Sanct Annen Kirche in Dahlem. Bishop Kurt Scharf of the Church of Berlin-Brandenburg ordained me with the Lutheran rite in the Sanct Annen Kirche on March 2, 1975 after which I was called for a half year as the pastor of the western district of that church, which was once that of the famous U-Boat Captain, Martin Niemoeller, who stood up against Hitler. I had parties for family and friends on both sides of the wall. Since “retiring” from Christ Lutheran Church my son Mark and I have been writing and composing a Luther Musical for the 500th Anniversary of the Reformation. On April 26, 2017 we showcased it in The Lutheran Church of Our Savior in San Francisco. As a next step on the way to its October production, we performed a dramatic stage reading and singing of our work with eight actors and a wonderful musician. It took place in St. Paulus Lutheran Church in San Francisco on June 17, 2017 (Luther and Katie were married June 15th) and the president of the congregation wrote: “This musical is a must see!” It runs an hour and a half. We have a video of it on Youtube for your enjoyment. It runs an hour and a half. Rebecca playing Katie von Bora as a nun. Without having the following two years of ministry in Christ Lutheran Church and without the help of my son Mark, who is singing on the right in the above picture, we could not have completed this musical. Also see our Facebook Luther Musical page. I was the co-pastor of Christ Lutheran Church in El Cerrito, CA with Pastor Barbara Foltin. What a wonderful blessing this new ministry was for me! I’m a pastor who likes to toot my own horn! Cassandra the seminarian at church and me. My son Mark was my right hand man, directing plays, assisting with worship, singing the liturgy. Here he is helping with a worship for the blessing of animals. In the Junket, a German restaurant in the El Cerrito shopping Plaza, many have asked me to have a German Christmas Eve service at Christ Lutheran Church. And behold, we had a German Christmas Service Sunday December 20th at 4:00pm. We sung the Weihnachtslieder and heard a dramatic presentation of the Christmas story in German. 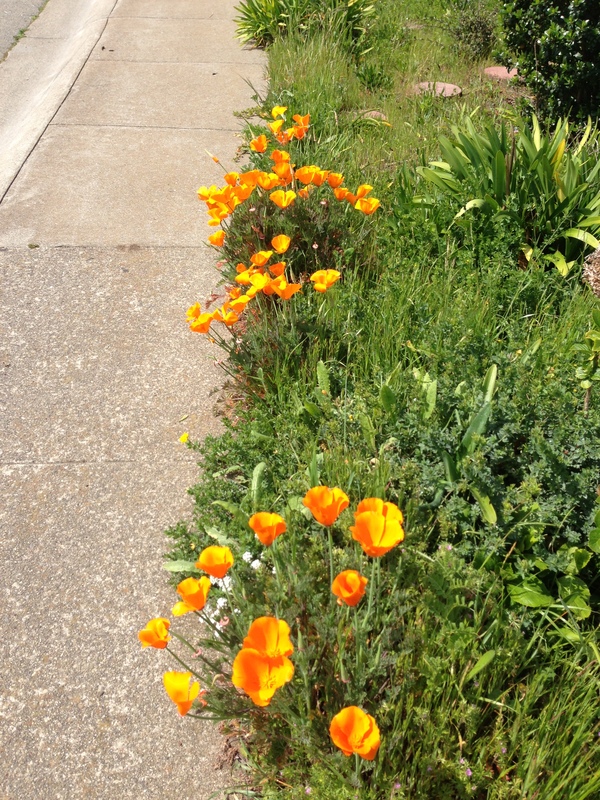 This took place as a first at Christ Lutheran Church 780 Ashbury Ave, El Cerrito, CA 94530. 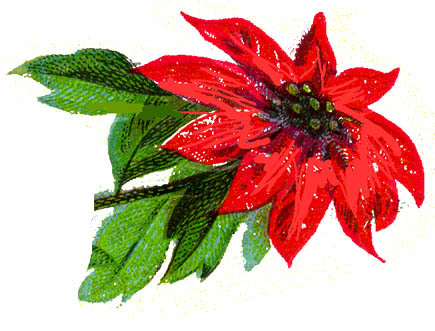 The English Christmas Eve Service took place at 6:00pm, Thursday, Dec. 24th and the Christmas Day Service at 10:00am. We celebrated a wonder German second service again on December 18, 2016. Pastor Kerstin Weidmann from St. Matthew’s in San Francisco also participated in the service. The Christmas Eve service at Christ Lutheran Church was also my goodbye service. I’ll be preaching for Bethlehem in West Oakland starting Feb. 12, ’17. I had now preached for the German Advent and Christmas Eve Service in Manteca, California (about the 15th time, I believe). The attendance was way up and the singing really enjoyable. Mark and I sang three duets that I introduced on the trumpet and he accompanied on his guitar. He again coached me to add gestures and acting to a dramatic presentation of Christmas story in Luke 2:1-20. Check out his dramatic reading of the Gospel of Mark on Youtube. His stage name is Mark Maynon. 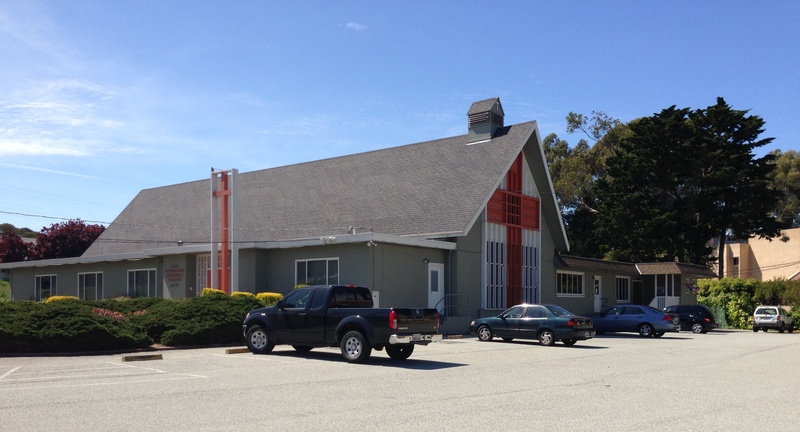 Surprise: Christ Lutheran Church in El Cerrito, CA is having me become a co-pastor with Pr. Barbara Foltin starting on January 15th, 2015. Pastor Sharon Lubkeman is retiring and in a unanimous vote, the congregation made me her successor for fulfilling the last two years of her contract. What a blessing! It was so painful for me to have retired from unemployment. But my brother Philip, who just recently retired after 15 years as the president of the Lutheran Theological Seminary in Philadelphia, has kept me busy. For Eerdmans Publishing House, I translated Thomas Kaufmann’s Luther biography, which is truly out on the edge of Luther scholarship and we are finishing up a Reformation Commentary on the Last eight chapters of Romans for InterVarsity Press. In addition we are working on a book for the Paulist Press to be called The Catholic Luther. Hopefully these three books should appear next year. Perhaps I can get Philip to help me publish some of the books I have written and even revised several times only to place them back into my file boxes. I have a book about Updating the Exodus about the Egyptian context of the last chapters in Genesis about Joseph and the story of the Moses and the Exodus. I have another about Hegel and the Holy Trinity and another about Joseph and the school of suffering as presented by Luther in his last lectures on Genesis. The Joseph book would be good for the Luther Decade and the 500th anniversary of the Reformation. I have other unfinished books sitting in my files like Creation via Language – all of which are over 200 pages. I wanted to use Scholardarity to publish them but that has not worked. 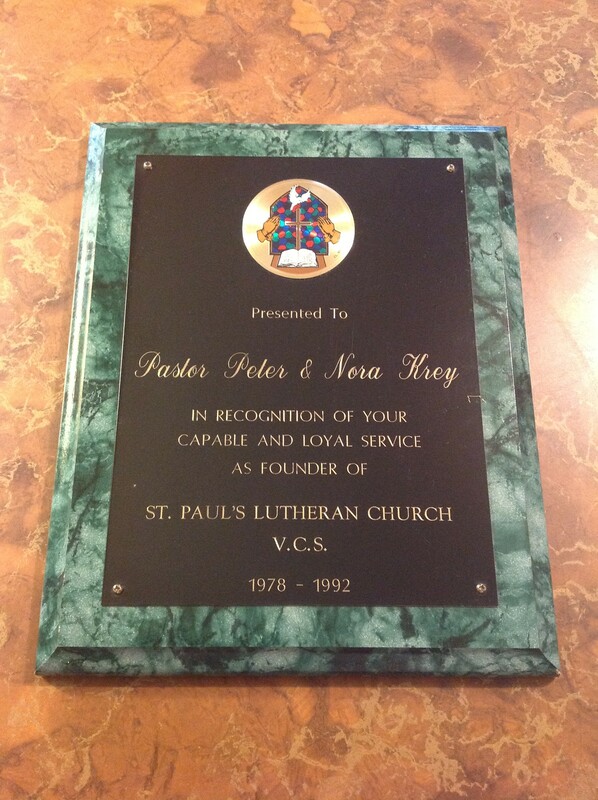 From October 29th, 2013 to the end of December, 2013 I supplied at St. Paul’s Lutheran Church in Vallejo. I preached my last sermon there on Christmas Eve and their Interim Minister should start for them in January, 2014. All the sermons as well as the German Christmas Eve sermons I preached in United Lutheran Church in Manteca and Resurrection Lutheran in Oakland have been posted. Have a look: About the Newest Entries. 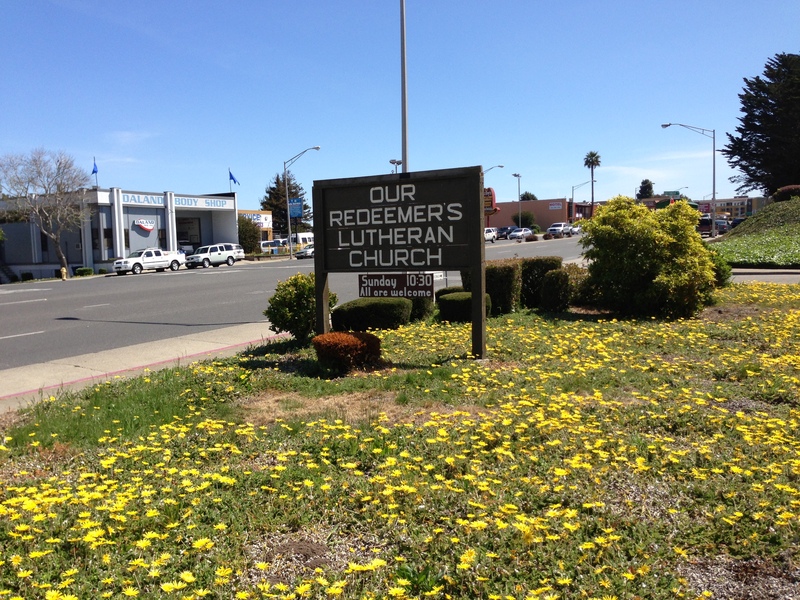 Since February 1st, 2013, I’ve been the intentional interim pastor for Our Redeemer Lutheran Church in South San Francisco, California. For me it has been a rewarding experience. I could not even believe how happy it made me to work once again, to have professional challenges, get to know some wonderful people, and realize that I had so much to give and suddenly had a place to be able to share some of my gifts. Three long years in unemployment’s prison, but now with Christ, I am risen! 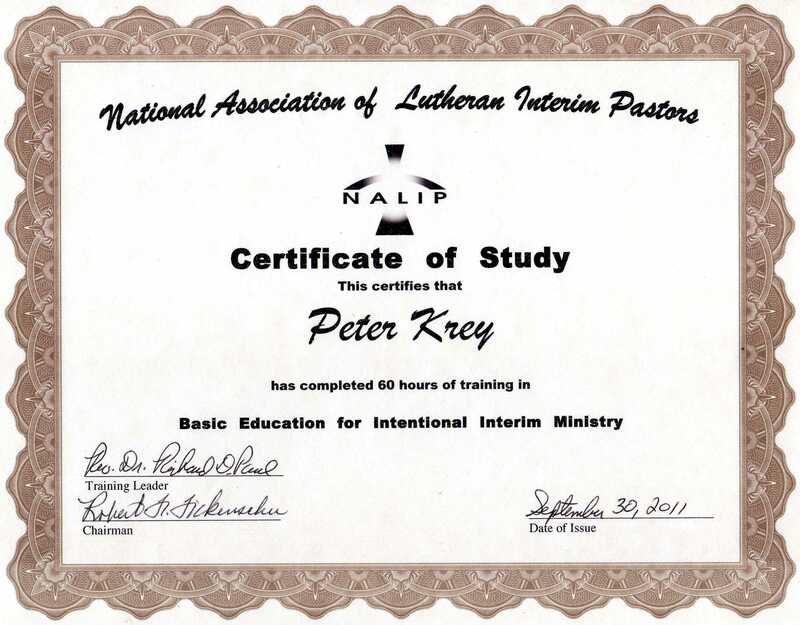 The new pastor will be chosen next week, so it will not be much longer, but that is Paar for the course for an interim. You prepare the congregation for the new pastor. 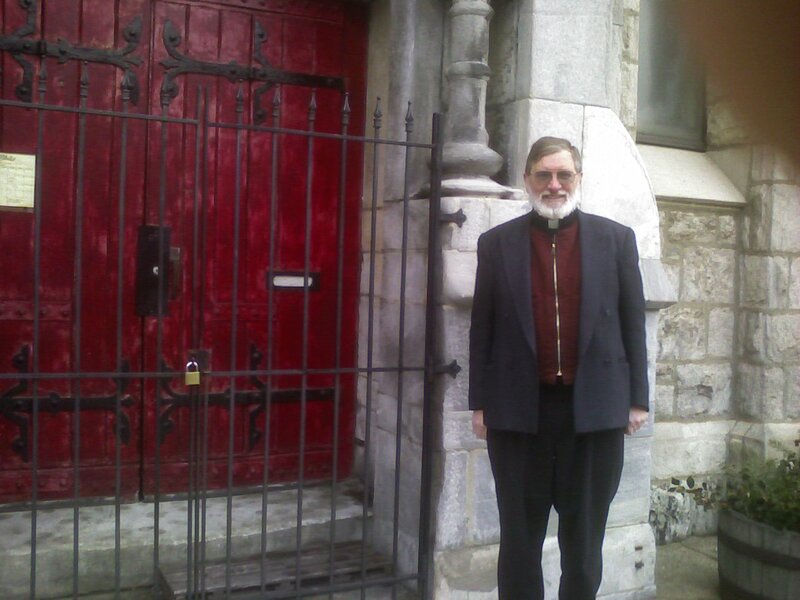 I’ve been a pastor in the Lutheran Church since almost 1971, starting in Berlin, Germany until 1975, then in Coney Island, New York, from 1976 to 1992, and then in Oakland and other East Bay churches in California thereafter. 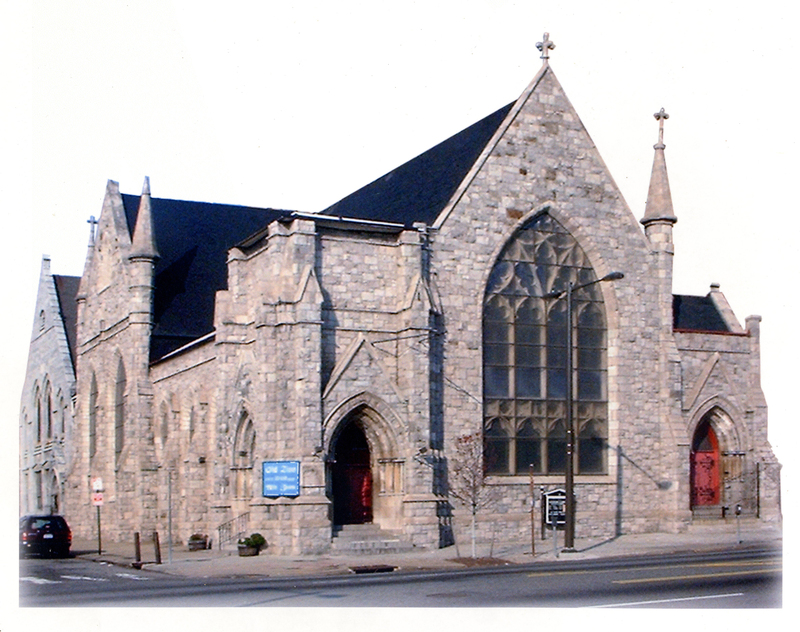 Recently I served Old Zion Lutheran Church in Philadelphia from September 1, 2006 through January 2, 2008. 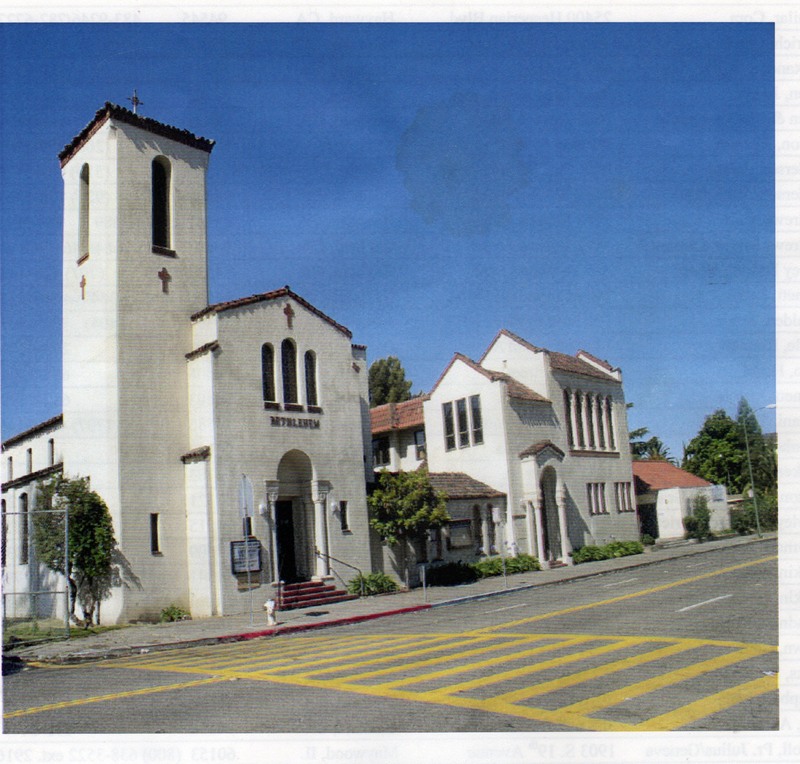 From November 9, 2008 to February 15, 2010 I served Bethlehem Lutheran Church in Oakland, California (unofficially) with Pastor Richard Rubio Bowley. For three years, when I felt I could have made my greatest contribution to the church, I languished in unemployment. Now I’m an interim at Our Redeemer, South SF. I received my PhD. in Early Modern History of Christianity – mostly for Germany and Non-Western areas. My dissertation was about Martin Luther’s most often published pamphlets (1520-1525) and is called: Sword of the Spirit, Sword of Iron. (See my dissertation page!) 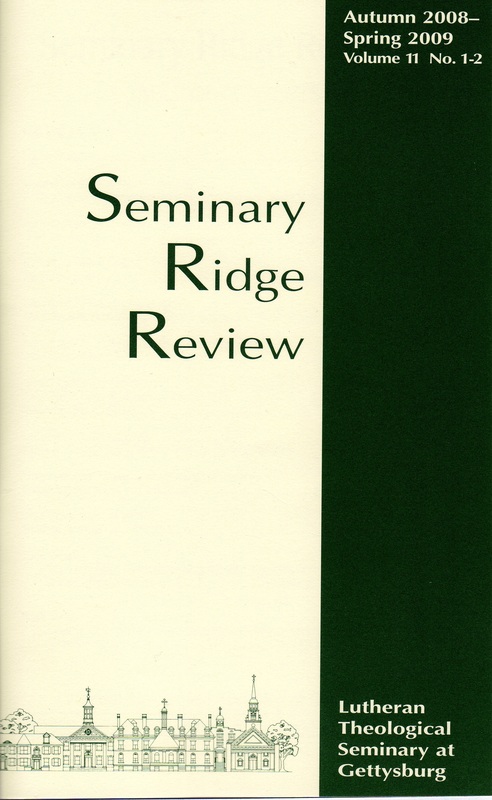 It is now available online in Scholardarity for $9.99. 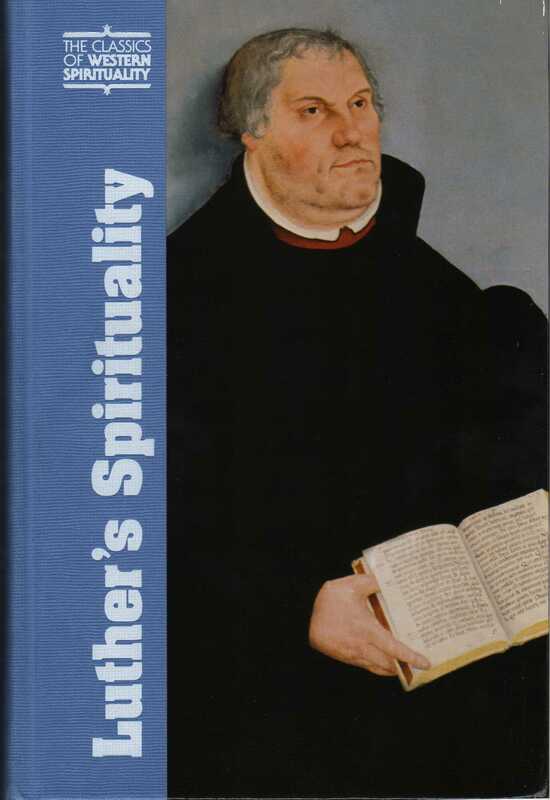 My brother Dr. Philip Krey and I have just finished a book called Luther’s Spirituality, which appeared in March, 2007 published by the Paulist Press. Since the summer of 2001, I’ve taught Ethical Inquiry into Contemporary Social Issues, various Philosophy courses: the Introductory Course, History of Philosophy Part One and Two, Philosophy of Religion, Critical Thinking, Logic, Ethics, and then Comparative Religions and Sociology of Religions (for PACE) in five different East Bay Community Colleges. In the summer of 2006 alone I taught four courses: Logic in the College of Alameda, then Introduction to Philosophy, Philosophy of Religion, and Logic again at Diablo Valley Community College in Pleasant Hill, CA. For Philadelphia Community College, I taught the History of Western Civilization, Part II, the Reformation until the Present. I was in Philadelphia because on June 19th, 2006, I had accepted the call to be the pastor of the historical Old Zion Lutheran Church there, where services are offered in German as well as in English. My starting date was September 1, 2006. I hoped my wife could follow me to the East Coast, but it turned out that she couldn’t. Although the church had been reorganized by the Patriarch of the Lutheran Church, Henry Melchior Muhlenburg himself in 1742, the original German congregation had dwindled to about 16 and the English congregation, once St. Matthew’s to about 25 to 30 in Sunday worship attendance. The dear folks had become very conservative and my coming from Berkeley, California, became too great a chasm to bridge. Sadly, I preached my goodbye sermon to Old Zion, Philadelphia December 30, 2007. Nora came to comfort me and in our trusty little Toyota, laden with my belongings, we headed back to the West Coast January 6th, 2008. See my December Message to the congregation! June, July, and August as a supply pastor, I preached for Immanuel Lutheran Church in Alameda, California, while Pastor Roger Bauer was on Sabbatical. I was able to get every sermon into this blog. That was not quite so easy when I was preaching at Old Zion, because I was preaching in German and English every Sunday. On November 9, 2008, I began ministering at Bethlehem Lutheran Church in Oakland, California, once again along with Pastor Richard Rubio-Bowley. When Pastor Rubio-Bowley asked me to help him and when I walked into the coffee hour and all the people of Bethlehem applauded, I knew I was there again and that for the third time. Pastor Julius Carroll had asked me to supply for him during his sabbatical; then he took a call from the church head quarters in Chicago, making me the de facto interim pastor for about two years. My ministry along with that of Pastor Rubio-Bowley was a very positive experience for Bethlehem. Wherever I minister I play my trumpet, preach, preside, and feel a great deal of joy. On Saturday evenings getting high on preparing the children’s sermon, I often write songs for them. Sometimes they end up being too grown up and then they become regular church songs, many of which are in this website. Sadly, I left Bethlehem on February 15, 2010, because I am technically on leave from call, and I could be struck from the roster of ELCA pastors, while doing what was pretty nearly full time ministry. It is quite remarkable how much I miss being a pastor, since having left Old Zion in Philadelphia and Bethlehem in West Oakland. It takes some inner strength to endure unemployment. How does one retire from unemployment? I’m putting these in for an uplift! In Coney Island, I directed fourteen Summer Vacation Church School and Day Camp programs, in which for six to eight weeks, one had to eat, drink, and sleep Day Camp. To carry them out by writing grant proposals, doing walk-a-thons, and then directing a 16 member staff, teaching and being the bus driver really meant going above and beyond the call of duty. Even as a part-time minister of St. John’s in East Oakland, I directed three more VCS and Day Camp programs. I’ve had to start from scratch many times in my professional life: in Springfield, Ohio in Hamma School of Theology; in Los Angeles, California during clinical training; in Berlin, Germany during four years of ministry there; in Coney Island, New York when beginning my ministry in St. Paul’s; in the East Bay of San Francisco during graduate school and many an interim ministry and as a community college part-time instructor; in Philadelphia during my German-American ministry in Old Zion; and back here again in the East Bay. I’ve done interim ministries for St Ann’s in Germany. There it was called being a Pfarrverweser. For Christ Lutheran Church in El Cerrito, for First Lutheran Church in Oakland, for St. John’s Lutheran Church in East Oakland, for Bethlehem Lutheran Church in West Oakland, and for Trinity Lutheran Church in Fort Bragg, California. Nevertheless, as I was required to undergo Intentional Interim Training, I completed this training. 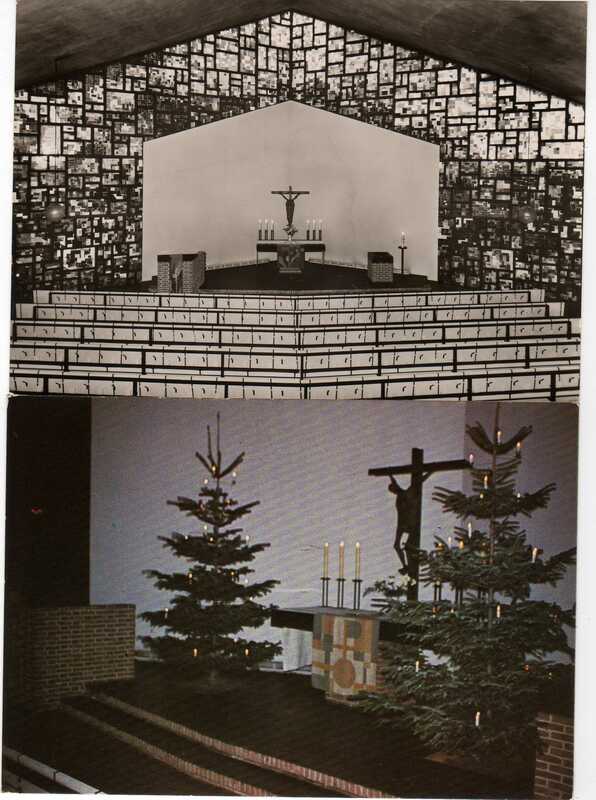 The two Berlin churches I ministered in 1971-1975: St. Ann’s in Dahlem and St. Philips in Friedenau. Hear ye! Hear ye! The latest from Berlin. On Pentecost 2010 the roof of St. Philip’s almost caved in and it has been unsafe to go into the building since then. The congregation is worshiping in the mother church, St. Nathaniel, I believe, or in the social hall, which is behind the church. They have begun a fund-raising project for the roof and a series of benefit concerts. 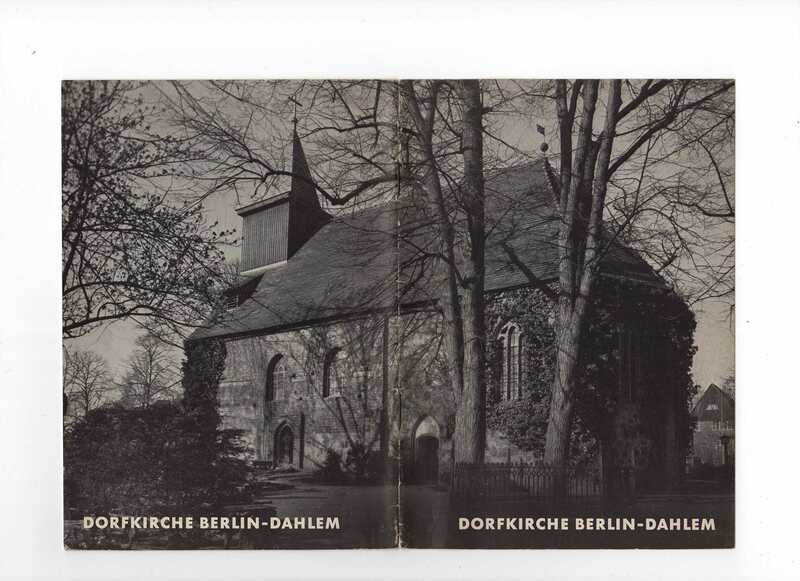 See the article http://www.schoeneberg-evangelisch.de/thema/index13d.shtml The church on the left amidst the trees is St Ann’s in Dahlem, Berlin. All the other pictures are the inside of St Philip’s church. Congrats on the divine call. May the Lord bless you and keep you in this new venture. I look forward to reading your book. God Bless and keep you ever and always focused on the Crucified One! I’m a lutheran christian living in Sweden who have come across some of your writings translated to swedish by Kjerstin (1925-2001) and Per Jonsson (1928-1998). I wonder if you have published any of your songs with scores for any instruments? Since I’m a great admirer of classical music and try arranging/composing some melodies from my norweigan relatives it would be wonderful to see some of the scores you have used for your songs and perhaps poems? Sincere greetings in Christ from a “gnesiolutheran” brother in Sweden. Ps. Your book about the Holy Spirit and the Sacrament of the Holy Baptism have been republished by Pers and Kjerstins daughter Karin Jonsson, and are appreciated among some of my non-lutheran christian friends. Tank’s a lot for the work you have put in these books, they are truly a inspiration for the Church. Ds. Pps. I wonder if your german relatives on your mothers side who know anything about a person called Volker Behrens? I have a acquanitance from the choir I sing with who comes from Hamburg, but have lived in Sweden, Umeå since the late 1990’s. This person is a remarkable talanted man who is very musical and plays bouth the piano and violin, viola. I have had the fortunate opportunity to play Telemans g-major concerto for two violas with Volker in 2002/2003, but now it seems that he’s leaving Umeå to do his work as a doctor in the southern part of sweden. Ds. 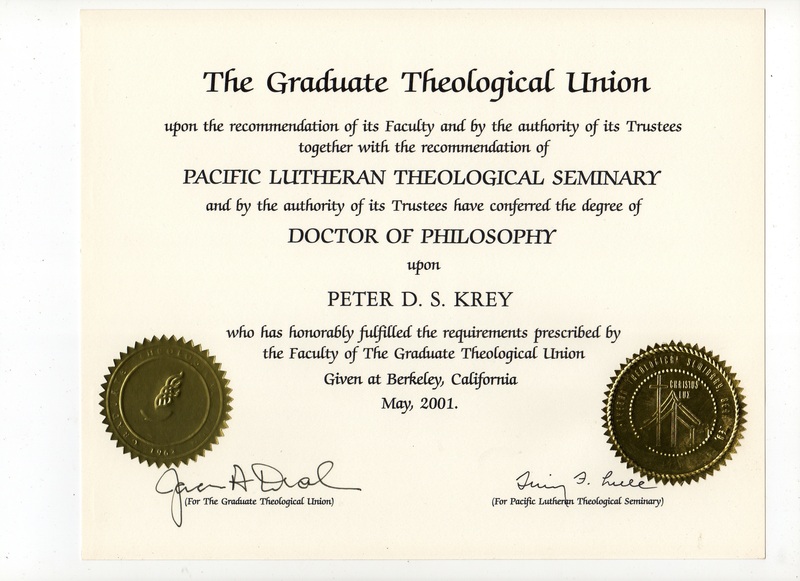 I’m afraid there might be another Peter Krey that has authored those books that you mention. 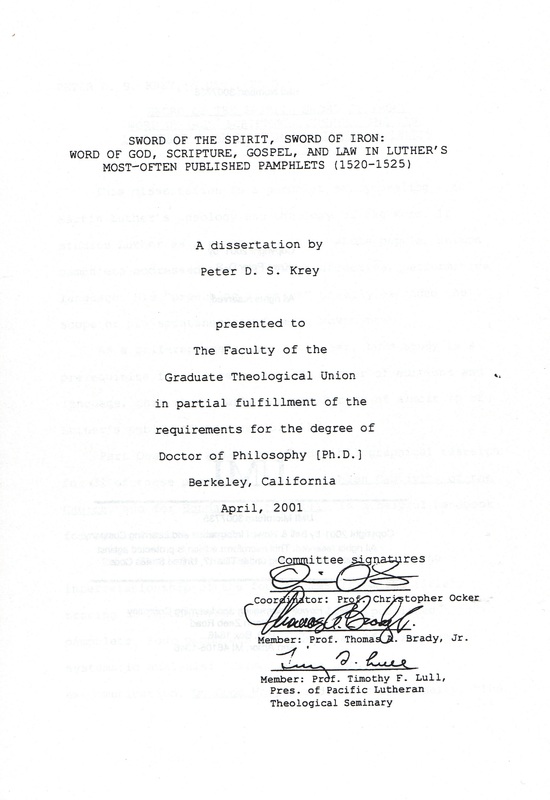 I have written only my dissertation, “Sword of the Spirit, Sword of Iron,” and my brother Philip and I are coming out in March 2007 with “Luther’s Spirituality” in the Paulist Press. I know there is another Peter Krey who wrote from Kansas. Could that be whom you mean? I’ve only included one song so far in my website. I’ve never put my poems to music. Truthfully, I play the trumpet but mostly by ear, and I have only had the good fortune of getting some help in putting some of my songs to music. I wish I could get more into notes for musicians and churches to sing them. I just wrote a song this Sunday called “Jesus is my Flashlight” for the children of the church, Old Zion, to which I am now called. I’ll put it in this website when I get a chance. I might be able to send you a tape of how they sound and those that have the music, too, if you send your e-mail address to me: pkrey@earthlink.net. I’ll post some of the words to some of my songs and if you are interested in them, perhaps I could write the melody in notes for you, but that is as far as my notation skills go. I definitely did not write about baptism and about the holy spirit in a published way. I have written about eight longer works and they all sit in my file cabinets. One reason I started this website is not to hide my light under a bushel. I think Behrens is a common name in Germany. Krey is less common, but is also not unique. That is why there must be another author with the same name as mine. My middle names are Dietrich Siegfried, which will probably set me apart. I have played my trumpet most of my life and I used to consider myself a poet. A friend of mine wrote songs, so I prayed to God to give me that gift as well. Lo and behold, I can play my trumpet and develop one melody after another. I mostly write songs for my children’s sermons, but I just translated a number of Luther songs for our new book and I’ve translated songs from Spanish. I’ll take a corito and use it as a refrain and write verses to make it a song. My favorite Swedish song is “Children of the Heavenly Father.” I love that one. So dear Jonas, thank you for responding. Some one else just called himself a gnesio-lutheran. I’ll have to look that up and see what it is. Right now I’m serving a German American church in Philadelphia, but I have always worked with African American Lutheran Churches until now. I also served a Puerto Rican congregation for ten years and thus I translated some of their songs. P.S. I have not had access to the Internet and have to go to coffee houses or elsewhere to get it lately. Soon I’ll be hooked up on the Internet again and I’ll be able to get back to my website regularly. Hello, pastor Krey. I´m a reader from Venezuela. I´ve found it quite interesting your sermon on Michael the Archangel. Where can I find Martin Luther´s commentary on Daniel in the web? I´ve tried to get it unsuccessfully, so I would appreciate if you help me. just a quick note before mother, lily and craig and i all head into boston for a show. Haven’t yet had a chance to look at the sermon you sent me, nor the rest of this website, but from what i’ve gathered so far, this is incredible. i am a big fan and very proud of your internet prowess for setting it up. can’t wait to take a closer look at it some night at work. tonight’s my last night home as i head back to saratoga in the early morning. we love you guys lots and miss you dearly. can’t wait for the next time our paths cross. Good morning, Peter! I’ve been running through the Internet websites regarding our next Outreach Committee meeting. I’ve noticed that one maintained by our former Pastor is still up (chafs@aol.com) and should be removed, as it now conflicts with current information. Readers may be mixed up as to whom the current pastor is, for example. I’m also proposing that we take a tour or look at 3 places so far: The Swedish museum, Old Zion Lutheran School (327 Cherry St.) and The Athenaeum of Philadelphia to see what relics (ha) might be linked to early St. Michael’s-Old Zion. As I certainly have the time off right now, we could just hop in your jalopy and satisfy our curiosities. Also there is a great piece from http://www.walshorgans.com on our church organ restoration. This might be a link put into the brochure for our church. 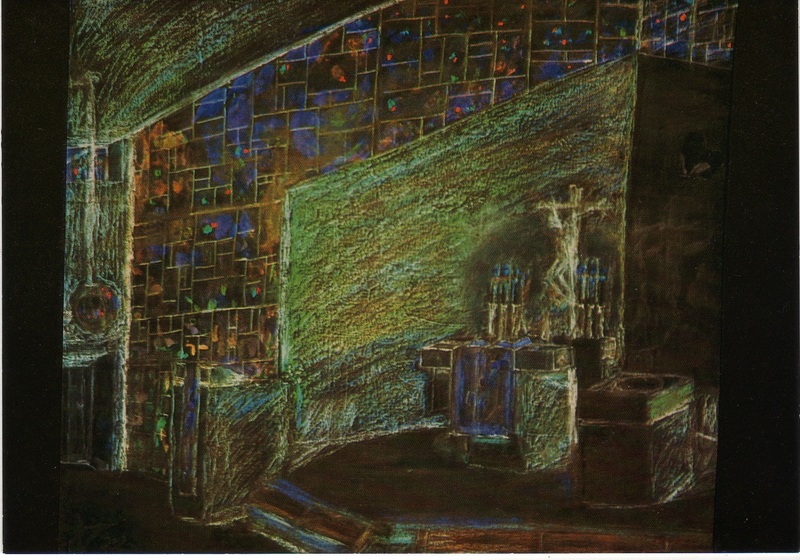 I have been searching for more images of our church, but so far not much luck. I will continue to search. Oh, and Philadelphia.citysearch.com has a site for us, but it needs quite a bit of information. If I put it in, I’d be the “owner” of the site. Because of the “travelogue” nature of the site, mentioning our history would be really big here, and throw in as much detail as you want, with a link to http://www.oldzionlutheran.org website as well. Just thought there should be one web site connected to the Lutheran Church that recognizes that today is Ascension Day. I have the footnotes on my St. Michael sermon Luther Works vol. 35 and Weimar Ausgabe Bible vol. 11.2. But the whole Weimar Ausgabe, the German and Latin complete Luther’s Works is on the internet. You have to get a school or university, however, that pays the subscription, to give you access to it. I am a Lutheran minister’s wife from Downers Grove, IL. There are lots of interesting things about my husband and his ministry, and some interests that you two may have in common, but my query here is a little bit more personal. I have been going through some old things of my grandparents, and found several references to your parents and your brother Matthias. My grandparents came to the USA from Germany about 13 years before your parents did, and lived in Maine. Just curious if you might know why they knew each other, or if an older sibling might have some memory of them. Frieda and George were their names, and Alfred their son, my dad. Frieda had cousins in MA. by the name of Reichel, some of whom also later lived in Maine. Any clues, I’d love to hear from you. I was thinking about my childhood recently and searched for St Paul’s on the web and decided to try to look you up. I was surprised I found you so easily. Congratulations on your new church appointment. When I saw a picture of you with your trumpet and Nora it brought back memories. I hope you Nora and family are doing well. Just incase you don’t remember me when you were pastor of St Paul’s I was part of this group – Cindy, Wendy, Lou and Agim to name a few. Hi Peter, I’m posting this here because it seems like there’s something wrong with your email account. I wanted to wish you a (belated) Happy Thanksgiving! How are you doing? I hope things are going better for you in Philadelphia. I look to forward seeing you again in January. My wife and I are occasional visitors at Old Zion are are very sorry to hear you are leaving (but certainly understand). You talked to me once about your dissertation. Is it available online? I’d love to have an opportunity to read it. Hope all has gone well in your travels today (Thu). How far have you gotten each day, and when have you arrived at home again? Quite a “trip away,” eh? Thanks for stopping by. So good to spend some time with you again! God bless! Hola, my name is Stephen Adams, you might remember me as the audacious young man with the blond mohawk from your Introduction to Philosophy course Spring semester 2006. I want to thank you for everything you did for me, all the time you spent rambling with me after class, your openness and joviality, your ability to look within me to see that there was a thinker, a philosopher, thank you. I was accepted to Berkeley last Fall with a full scholarship into the Philosophy department, even though I only had a 3.6 GPA, all three of the schools I applied to accepted me, including UCLA. So far at Berkeley the main complaint that I’m getting from my GSI’s about my papers are that I’m trying to tackle ideas that could be thesis papers in 2-5 page assignments. I don’t think I need 30+ pages to deny Descartes methods of doubt in ‘Meditations’; being insane is just as untenable as being unaware of the ‘Matrix’ when discussing certainty, and people who practice lucid dreaming have come up with quite the battery of tests to conclude with certainty when we are dreaming, and when, in fact, we are not. There, one sentence did it quite nicely. If you are back in the bay area, it would be great to get lunch sometime. I’d love to hear your feedback on some of my ideas. I hope all is well with you, and your family. I got a magazine in which one of your writings was published in Finnish. It was “Why am I a Christian” from the article “Devotions on the Apostles’ Creed”. I wonder if it would be possible to receive this writing in English? You wrote words of wisdom and explained the true meaning of being a Christian so clearly. I would now want to share your thoughts with few of my American friends that are not Lutherans. Thank you for the important work that you do. God Bless you! You might find some of these interesting. I will be writing my prospectus this summer and hopefully defending my dissertation by next spring – but I should be able to start my chaplaincy program within the next month or so. 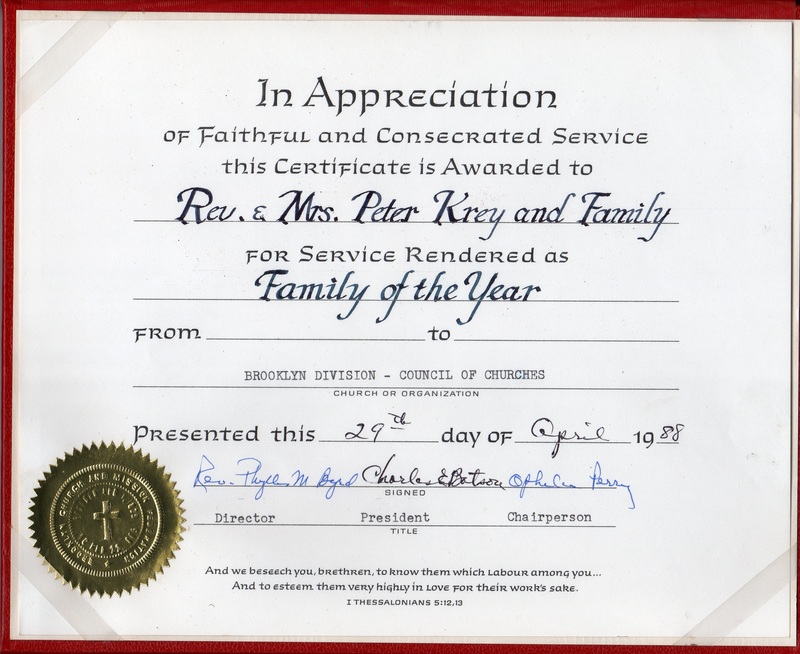 My grandfather was Harry Krey of Brooklyn, NY. As I try to piece together family history for my son, I came across this page. Perhaps you can help, but then again, I’m not sure how common this name is. I know this, his father was Phillip and mother was Sadie. His grandparents were Phillip Krey of New York and Isabella Kinkade of Scotland. I’ve gotten this information from his father’s death certificate. Might they be part of your family or is the name just a coincidence. Thank you for your kind help and generous attention in our search. Hope you are well and looking forward to your trip to Baltimore! Great to read the latest news. Happy Thanksgiving to you and yours if we don’t get a chance to say so in person. Just visited your website and I must say, I’m impress with the work you have put into building it. I look forward spending time reading and navigating your site. Looking forward to our get together in June. ill start with your gettysburg address, again. would you like to help me start my own website? give my best to the family. I’d love to help you. Just go to wordpress.com and the instructions are right there. Right now I’m at Ashley’s Sluggos in Pensacola. I will be back n CA Friday. They say you can get your wordpress website going in half an hour. why didn’t you tell me you were back!! how i have missed your trumpet at the advents- und weihnachtsgottesdienst!!! we may need you next year- please contact me! Well I misplaced the card you gave me at Mildred Memorial Service…but I did remember your name and how to spell it.. and I love Google!!!! Ever since that wonderful wonderful service in remembrance of a mighty woman of God, every time I hear Amazing Grace, I see YOU playing your trumpet. (that is the song you accompanied us on the trumpet, isn’t it??? )…. Its a good memory!! Excuse the maybe obvious but I have litle knowledge of German – is Salvation by grace alone and through faith alone the same as Des Christen Hertz auf Rosen geht, wenn’s mitten unter’m Kreuze steht? Remembering the Sanct Annen Kirche and the stories relating to March 2, 1975. What a difference a year makes! Trusting that you and yours are all on firm, dry ground this year, safe and healthy. “Peter Krey, Christian News, May 30,1966.
that is not me. A Peter Krey was an author, who wrote about the “Song of Solomon” once, but know very little about him. I tried to find Scholadarity and couldn’t get it. Nice post. I was checking constantly this blog and I’m impressed! Extremely helpful info specifically the last part 🙂 I care for such information a lot. I was seeking this certain info for a long time. Thank you and good luck. found your website and love the poems. i am looking for some help finding a german poem that a friend told me about. i do not have much to go on except a little bit of the english translation. it was a poem about creating your own happiness in life and then love will find you. a friend had it in a german class and i would love to find it and send it as a going away gift. any help would be so greatly appreciated…. Dear Peter, thank you for the kind note in the copy of Luther’s Spirituality presented to me today by Dan Miller, our student in German here at Miami University. We have enjoyed Dan over the years and wish him all the best. I’ll think of you and your work when I’m visiting Wittenberg with a group of students in June! Dear Peter Keep up the good work and I wish you the best in your ministry.remember, Christ first. Peter. Can you call me? I was good friends with jason. I heard the news moments ago. You and I met a couple times on Solano to discuss theology with jason. I am shocked. I am a student at EBC Berlin and we are currently working on a project that requires us to search historical and current pictures of numerous tourist features in Steglitz-Zehlendorf area. I found this old picture of the St. Annen-Kirche on your blog and wanted to ask for your permission to use it for our project. This is Marie and john Haynes we are doing fine and wish you and Nora the same. I don’t know if you remember us or not but we were the Marlboro people. john and I were thinking of you and wanted to wish you all a happy Thanksgiving. 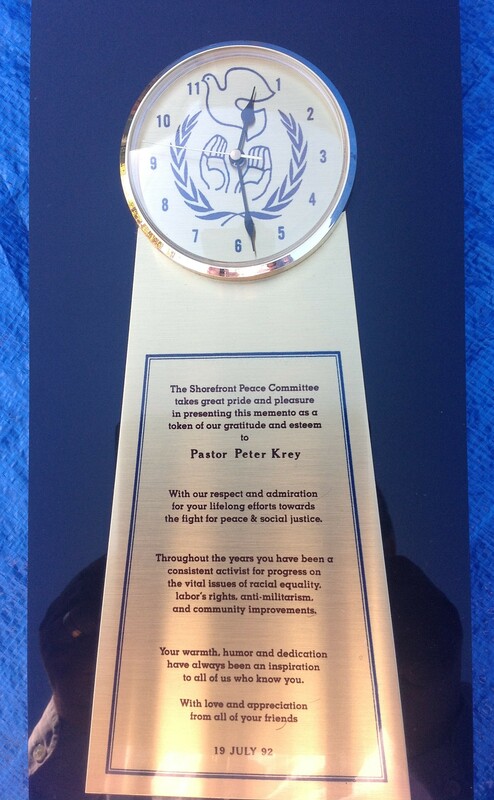 Hi Pastor Peter Krey, a belated Blessed Christmas and Happy New Year from a fellow Notheastern University 1967 LA graduate. You may not remember me from International Relations Club and other chats we had. I happened to be looking at 1976 NU Cauldron Year book and looked up your name. So this early AM I looked you up on Google as Rev. 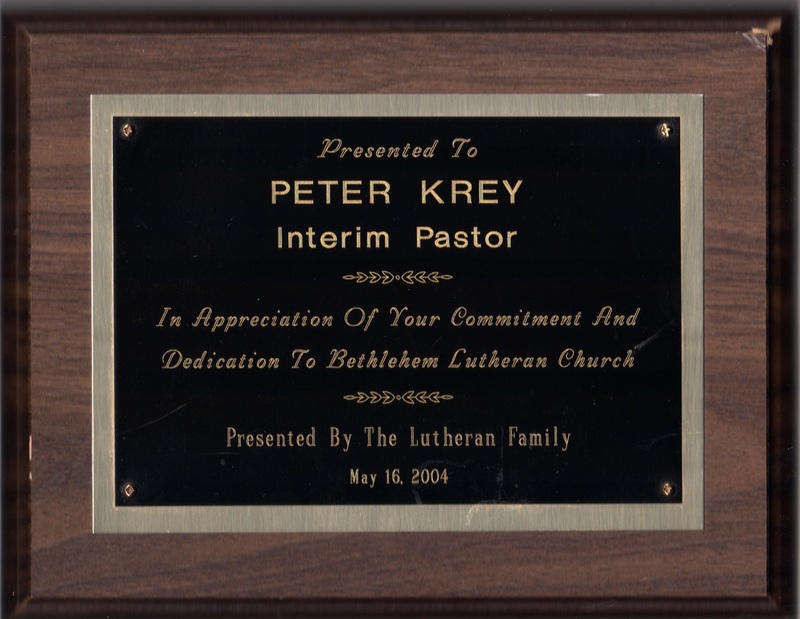 Peter Krey because I remembered your Christian faith and a desire to become a Lutheran clergyman. It looks like you have done a lot of good works througth the years. God bless you for it and for having kept your Christian faith. I have continued my Catholic Christian faith also. After our graduation, I became a Social Worker and Manager in the MA Public Welfare Dept. Also, you would find it interesting that I also discovered my own German origins on my father’s side. Due to his alcoholism, he did not live with us when I grew up. My had told me that his father was Protestant, which was unusual for us since we were all Catholic. Finding my father much later in his life, I discovered that my paternal grandfather was also German and that the family name is an over Anglicized German name going back to 1720s Nova Scotia which was originally Pape changed to Porper and 100+ years ago changed to Porter. One never thinks of Nova Scotia being a place of German immigration but due to The Treaty of Utrecht, France ceded, in North America, its colony of Arcadia to the UK. The British renamed Arcadia to Nova Scotia and among their first concerns were that there were too many Catholics in the population. The British convinced 1200 to 1800 German Protestant families to immigrate to Nova Scotia and these families founded Lunenburg, Nova Scotia named in honor of King George I of Great Britain and Ireland. This King was also George August of Hanover who was also the duke of Braunschweig-Lüneburg. He is the last British monarch born outside the UK. Best regards as you continue your ministry and Pastorship. Peace, David J Porter, Hingham, Massachusetts (Boston’s South Shore) which among its many religious communities is the Lutheran House of Prayer. Found your blog when I was looking for info on Phillipuskirchen in Berlin – my childhood church (confirmed and baptized 1984 there).. I am currently attending Lancaster Theological Seminary in Pennsylvania. Struck me as interesting – two people here in the US serving the Lord with connections to Phillipuskirche! Thank you for your comment. Where is Lancaster Theological Seminary? 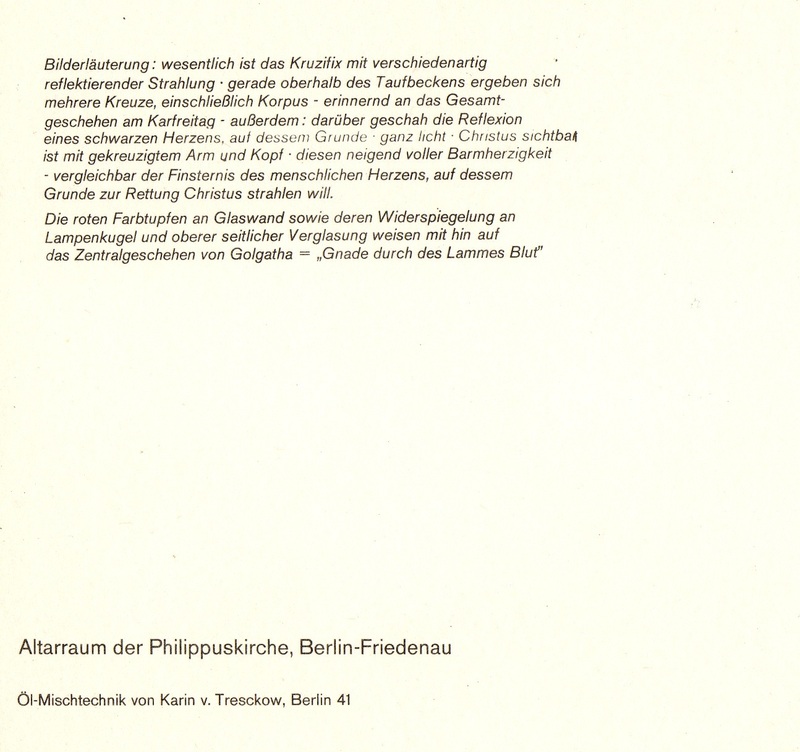 They called me a fraternal worker, when I served in the Phillipuskirche in Friedenau (1971-72). I was an Ostbote for the church for a little while, because Berliners had such a hard time crossing the border before Willy Brandt’s Ost-politique. I wonder who the pastor was when you were there? I never got notified of your response to me..strange…just saw it today.Lancaster Seminary us in Pennsylvania. The pastor was Pfarrer Spiess when I was confirmed. Later he was joined by Pfarrerin Hamra but she is now gone, too. I hope this reply comes through to you. I tried to help when the Phillipuskrche needed anew roof. I was there from 1971 to 1973 and you were confirmed there eleven years later. Are you planning to take a call and pastor here? Page 1: Installation of Pastor Peter Krey at Old Zion Philadelphia, (cover by Joshua Krey). Page 2: Installation, Mark Krey singing liturgy; Pastor Roggelin of Zion Church of the City of Baltimore. Page 3: Installation, The Rev. Dr. Philip Krey preaching, Dean Tim Poston, and Bishop Claire Shenot Burkat officiating. Page 4: Installation, Pastor Peter Krey on the trumpet, Nora, Priscilla and Evie Dolven at the reception.